The Artistic Director discusses the Limón Dance Company’s upcoming Dallas performance and preserving Limón’s legacy. Mexican dance pioneer José Limón (1908-1972) succeeded in creating a company that still entices audiences decades after his passing. Based off the movement experiments of his mentors Doris Humphrey and Charles Weidman, what is known as the Limón technique emphasizes the natural rhythms of fall and recovery and the interplay between weight and weightlessness. 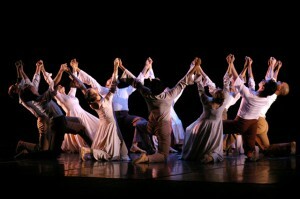 Founded in 1946 by Limón and Humphrey, the Limón Dance Company is now led by Carla Maxwell. Maxwell attended The Juilliard School before joining the company in 1965. She soon became a principal dancer under Limón’s direction and was appointed artistic director in 1978. 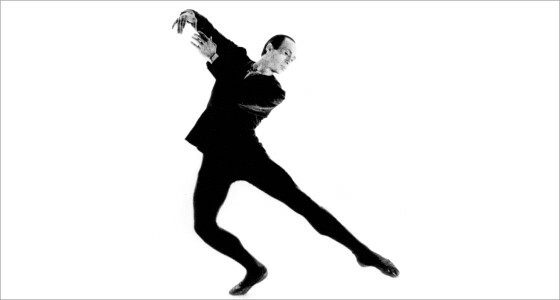 Acclaimed as a brilliant dramatic dancer, Maxwell danced many major roles with the company, including the title role in Limón’s final ballet Carlota (1972). She teaches internationally as both a representative of the Limón Dance Company and a guest artist-in-residence. TheaterJones asks Carla Maxwell about the company’s collaboration with Rodrigo Pederneiras, the inspiration behind the technique and preserving Limón’s legacy. TheaterJones: Can you tell me a little bit about the pieces the company will be performing? And then we’re closing the program with our newest commission Come With Me which is collaboration between Rodrigo Pederneiras from Grupo Corpo and Paquito D’Rivera who did a beautiful new score for us. If you don’t know him he’s like a superstar in the Latin Jazz genre and also an extraordinary classical musician. It was a thrilling collaboration and a beautiful stretch for our dancers. I always try to have a range for the company to dance. Mixing up classic work with new commissions is always tricky so, for me it’s very important that whoever we invite has a strong sense of composition, musicality and that there is humanity in the work as well. We’ve been performing Come With Me for a year now so the work is really in the dancers’ bones and I think they look spectacular. So, it’s going to be a real high to end the evening. For those who are not familiar with Limón technique how would you describe it? Well, his mentors Doris Humphrey and Charles Weidman really started a whole new movement vocabulary and as José put it they wanted to show themselves as mature men and women dancing about themes that were important in their own lives. Humphrey and Weidman really wanted to create a movement vocabulary that was as human as possible. So, this idea of using the natural movements of the body and the natural actions of everyday life became the basics for their movement. José would sometimes tell people that we just use every day things like walking, falling and turning. So, the work looks effortless, but that takes hours of work and tremendous practice. It’s not like in ballet where you can see the physical effort of how many turns they can do. We have the same kind of virtuosity as needed, but it manifests itself differently. The work itself is very formal. It’s not a free-for-all. The architecture alone of each Limón work can tell you the message. It’s a holistic philosophy. Through the movement, idea, the spatial concepts, every element has to contribute to the idea that we’re trying to tell. The technique itself can look very lyric, but it’s really a rhythmically-based, dramatically-oriented technique. It’s also action-oriented. It’s not movement for movement sake ever. There’s always an objective. The idea again is that we’re not trying to show the technique. We’re trying to take you on a journey. And I think the choreographers that have come to work with us are always pleased and surprised because of the training and exploration that we do. What other modern techniques have you trained in? I was lucky enough to go to Juilliard where I trained with Martha Hill who had a diet of ballet, Limón and Martha Graham. That was a terrific combination to hone my skills and learn. There were always overlaps between them. We also had Antony Tudor whose musicality and artistry was integrated into his classes as well as José’s. When looking at choreographers how familiar would you like them to be with the company and Mr. Limón’s philosophy? I would like them to be familiar with our work and I think any choreographer looking to collaborate would want to be. We had a wonderful collaboration with Lar Lubovitch. He allowed us to do his Concerto 622 which I think is one of his greatest works. And it was a way for him to learn about the company and the dancers. Then he made a beautiful new work for us for our 60th anniversary called Recordare, which was a play on the day of the dead. I always prefer this or if somebody comes and does a workshop with us. Again, I think it’s very important for the choreographers to know about the company and dancers. Even with the work with Rodrigo we were touring in Brazil and he came to see us in Sao Paulo. He stayed for two shows and we got to meet. And then he and Paquito met over Skye so the whole collaboration was very interesting. How do you stay competitive in today’s dance arena? It’s very hard because I think economics is ruing the day for everyone. You just have to keep enticing people. Everyone wants what’s new and fast. I think part of it is also education and reaching out to new audiences. We have been connecting more with the Hispanic and Latino audiences to let them know who José was as a person because his life alone is so inspiring. He immigrated to the United States when he was 7 from war-torn Mexico with his parents. It was 1915 when he came and he wasn’t welcomed with opened arms. He had every possibility to drop out of society, but he didn’t. He took every life challenge and turned it into something positive and creative. And that is very inspiring to young people no matter who they are. He wasn’t even 65 when he passed away, but we have existed 40 years after him and we were the first company to do so. People always ask how that is possible and I just have to go back to the work. If the work wasn’t relevant and if it still didn’t move people and engage them then we wouldn’t be here. I also have to pay tribute to my colleagues who are working and teaching his work all over the world. We have a wonderful Limón community especially those who knew José personally. How do you instill the memory of Mr. Limón in the dancers who never knew him? We do it through the work. The work is the same. And all the time he spent with his colleagues and his company he never talked about his personal life. He was very formal and very private, but not standoffish. This man struggled with all kinds of issues of identity and of being accepted and you can see this in his work. The Moor’s Pavane is a perfect example. It’s also through education and teaching. When people come and learn the technique and realize how difficult it is they leave with a new appreciation for what we do. It’s also a technique that feels really good when you do it. It’s also just constantly being out there and talking about José and realizing that what we are trying to bring forward as a company is much greater than him the person. This Q&A was originally posted on TheaterJones.com.